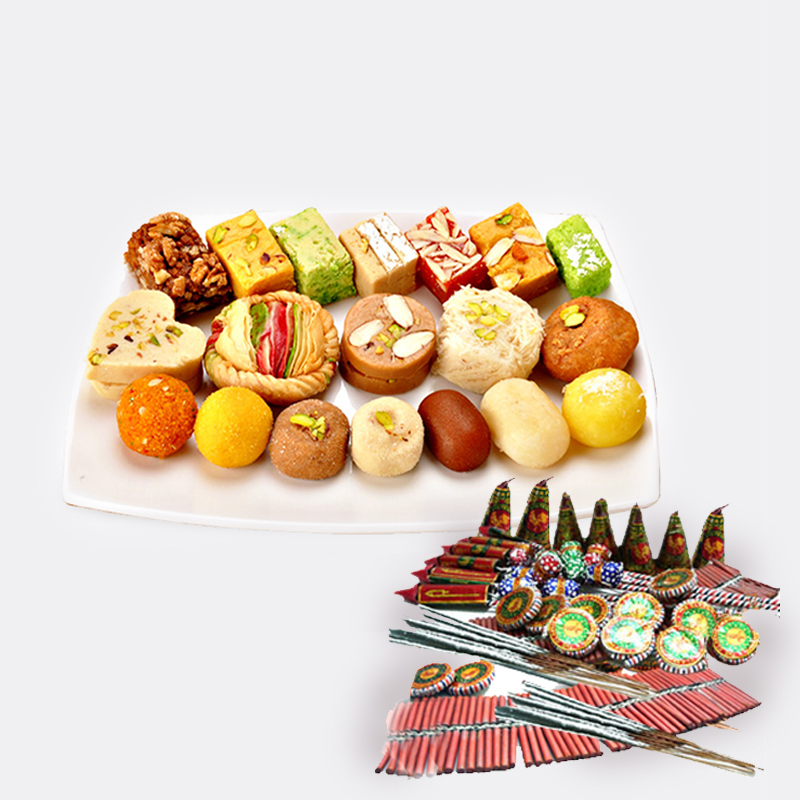 Product Consist : Box of Assorted Sweet (Weight : 1 Kg ) with Assorted Fire crackers (Worth Rs.300/-) (Note: Types of Fire Cracker are depends upon their availability no specific choice). You want to present something exceptional gifts to elate your loved ones on this special occasion of Diwali then here is a lovely hamper for you. 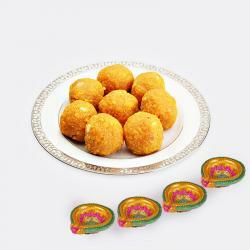 This is a mind blowing hamper that comprises of a box of 1 Kg of assorted kaju sweets and fire crackers worth Rs. 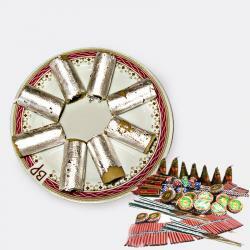 300 that include sparklers, ground chakkars, red fire crackers and so on. 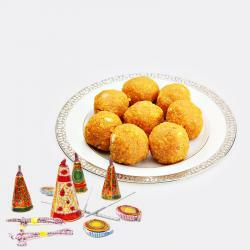 So get this complete package of fun delivered on doorstep of your dear ones this Diwali and make their celebration special. This exceptional gift hamper is an ideal gift to show your dear ones how special they are for you. 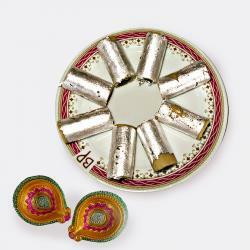 So go ahead and send them this splendid hamper to make their Diwali celebration special. Product Includes : Box of Assorted Sweet (Weight : 1 Kg ) with Assorted Fire crackers (Worth Rs.300/-) (Note: Types of Fire Cracker are depends upon their availability no specific choice).